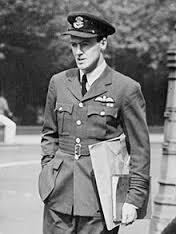 Before he wrote Charlie and the Chocolate Factory or James and the Giant Peach, Roald Dahl served in the Royal Air Force as a fighter pilot during WWII. He rose to the rank of acting Wing Commander. Born to Norwegian parents in Wales on September 13, 1916. In 1920, he lost his sister to appendicitis and his father to pneumonia within weeks of each other. He went to several schools while growing up, and had several bad experiences over the years. Despite his unhappiness at school, he was an excellent athlete, primarily playing squash and football. In addition to his interest in literature, he was an avid amateur photographer, rarely seen without a camera around his neck. After he finished his schooling, he traveled to Newfoundland where he hiked extensively. In 1934, he joined the Shell Petroleum Company where he was first stationed in Kenya and then Tanganyika (now Tanzania). In November 1939, Dahl joined the Royal Air Force. He received his pilot training and flew sorties until he was badly injured in a crash a year later. He fully recovered and was released for flying duties in February 1941. However, by May he began to experience debilitating headaches which caused him to black out. He was invalided out and sent home to Britain. After nearly a year of treatment, he recovered and made his way to America where he served in several capacities including intelligence officer for William Stephenson. It was during this time, he met novelist C.S. Forester and began to write. Dahl’s first published story was “A Piece of Cake” issued in 1942. 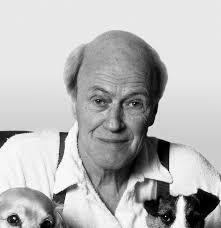 His first children’s book, The Gremlins, was published in 1943. Considered one of the greatest children’s storytellers in the 20th Century, Dahl received numerous awards for his writing. 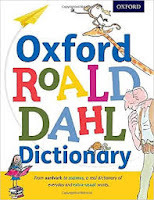 Known for inventing new words in his books, he might be pleased to discover that The Oxford Roald Dahl Dictionary has been issued to celebrate the centenary of his birth.